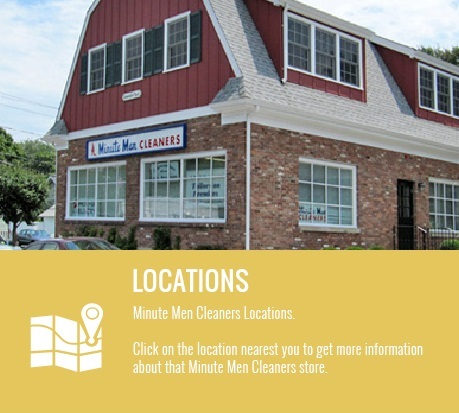 Minute Men Cleaners is a full service dry cleaners and laundry company located in Westport, Connecticut. 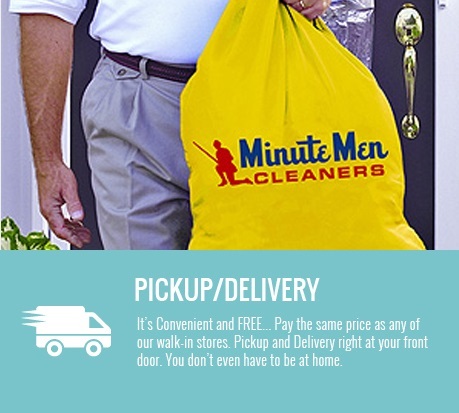 We have 5 convenient stores that offer free pickup and delivery throughout most of the region. 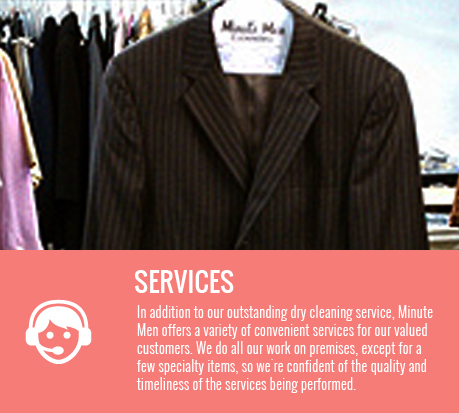 We look forward to handling all your garment care needs. 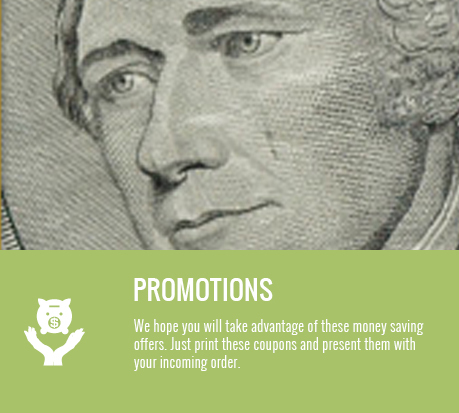 Feel free to browse this site for information on our services, our company, store locations, promotions, and more. Don’t Forget to download our free app for even more helpful features. 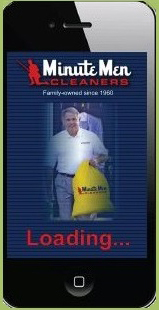 The Minutemen Cleaners App can be downloaded in Google Play or the Apple Store. ©2017 Minute Men Cleaners.com , All Rights Reserved.